If you’re a Twinizen, you will know in a second what virtual location we are referring to. 😉 And if you’re not, then this is the perfect time for you to become one and check this out. 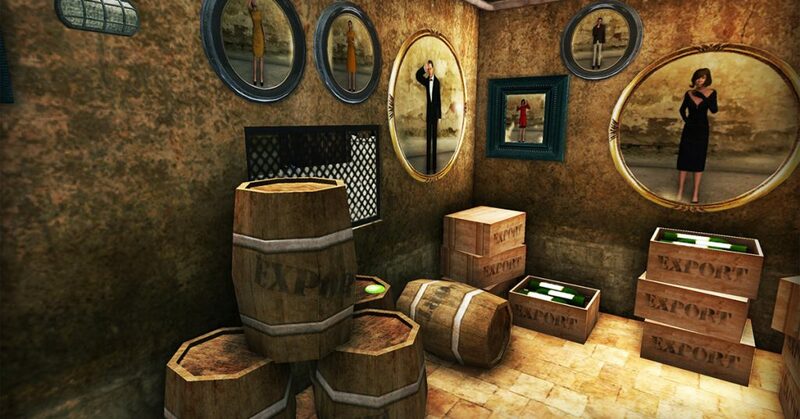 While on one of our VR sightseeing walks through the wonderful virtual world of Twinity, we stumbled upon this place. We knew it well, so imagine our surprise when we entered and found it covered in white and all jolly looking. Of course, you better put on some warm clothes and if you have none, well that’s ok as long as you are ok to wearing vintage clothes and old mafia families accessories ;). Take your time to visit and try to see if you could live in those days. Only then you can understand why this mafia counter-culture is so endlessly fascinating and was such an integral part of history. Look behind the scenes! Get a glimpse on how the lifestyle of those days was from the fierce competition, the brutal acts of rivals to simply the dress code and even honor of those days, or perhaps, try to find out of there was one! 😉 Become one of the characters that lived and dominated during the prohibition era. And before we start on our next trip, we want to thank the Twinity memebers that provided the artwork and shared their ideas on this, with us. If you’re not a Twinizen, get your account HERE and create your own virtual world and life now! You can also follow Twinity on Facebook and Twitter ! Until next time my fellow virtual travelers!